While there are many options for backing up and recovering data, an increasing number of businesses are turning to backup appliances as opposed to implementing a “bundle,” or a collection of software and hardware. 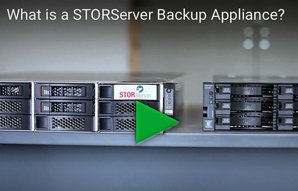 With so many options, we decided, as a leading provider of proven data backup solutions, to offer some expert insight into the five features enterprise backup appliance users cannot go without. In our new infographic, “How to choose an enterprise backup appliance,” we dive into the backup appliance selection process, offering insight on hardware and software considerations, key features, manufacturer support criteria and more. For full details, view the infographic below to learn more about how to choose an enterprise backup appliance. To select the right backup appliance for your business, use our Solution Wizard today.